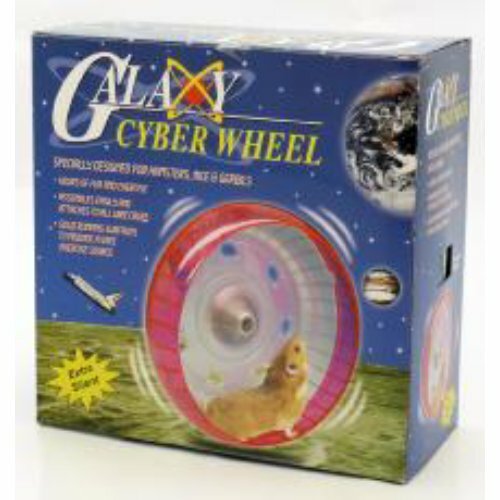 Introducing the 'Galaxy' Cyber Hamster Deluxe Comfort wheel - perhaps one of the best value hamster wheels around. Whilst it's price is relatively low, it's quality and safety features remain pretty good. 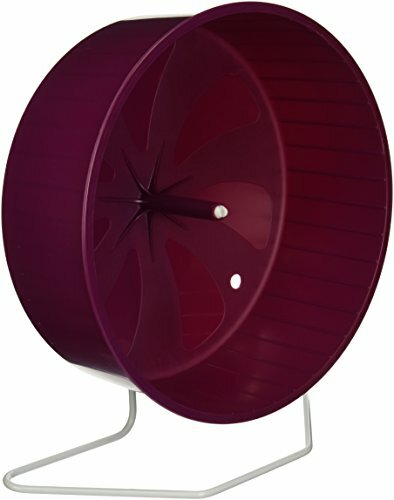 Like the safest hamster wheels available, it features a solid plastic running surface which is as wide as it's competitors. A solid and wide surface gives your hamster plenty of room and no gaps in which to catch their feet. 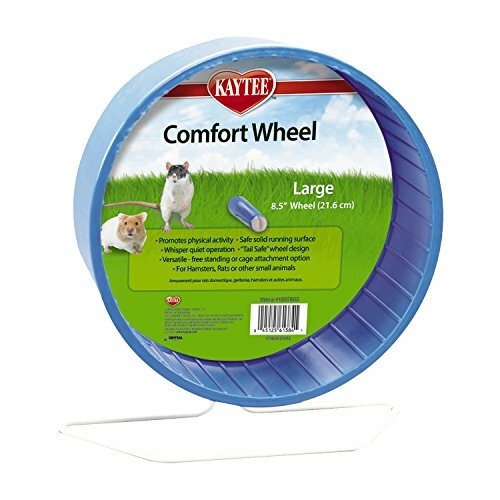 Unlike some hamster wheels, however, this Deluxe Comfort wheel doesn't come with a stand. This means that you can't leave it free standing - you'll have to attach it the wall of your hamster's wire cage. For the much smaller breeds of hamsters this wheel may prove a bit heavy and tricky to get going. So it's probably best to choose another wheel if you have a dwarf hamster or other equally small breed. Whilst it's available in a number of bright and attractive colours like pink or purple, you can't specify your favourite colour when ordering. 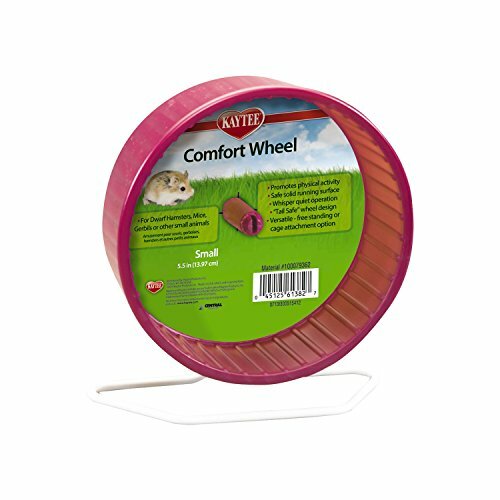 All in all, the Deluxe Comfort offers fantastic value for a safe and quiet wheel!